This two piece poly-wool dinner suit is manufactured in England from a medium weight black cloth, comprising 55% Polyester and 45% Wool. 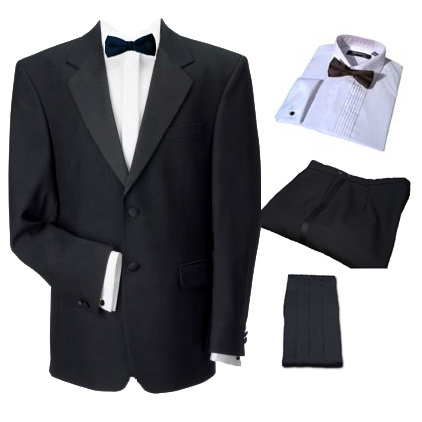 The package includes a white dress shirt, choice of cummerbund and either pre-tied or self-tie bow tie. Order received - i'm very pleased with it. thanks ..